With a relaxed vibe, year-round sunshine, idyllic beaches and a number of excellent golf courses, Queensland’s Sunshine Coast is truly a golfer’s haven. Adapted from a Kia Ora magazine article by Amy Mills. Photographs by Mike Heydon. There are few places in the world where you can start the day with a mid-winter dip in the ocean then play a round of golf on a premier championship course surrounded by lush rainforest, under the watchful eye of a kangaroo. 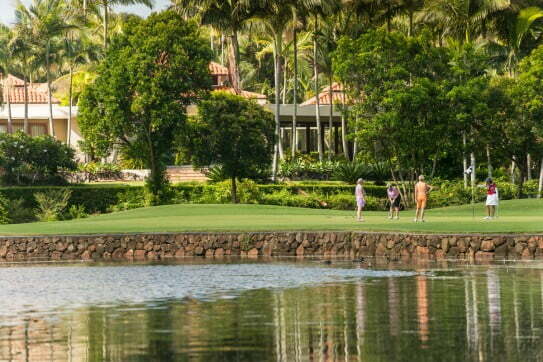 For golfing holidaymakers, Queensland's Sunshine Coast delivers all that and more. It's not uncommon for golfers to share the rolling fairways with kangaroos, koalas and an abundance of birdlife, making for a memorable golfing experience. It's little wonder the Sunshine Coast is an increasingly appealing destination for people wanting a relaxing golfing holiday with a difference. Temperatures hover around a comfortable 21 degrees during the winter months. You'll find easy access to a variety of quality golf courses, beautiful beaches, country-style hospitality and an abundance of dining options thanks to fresh ingredients sourced from the region's natural food bowl. "The Sunshine Coast doesn't have the fanfare or the price tag of other destinations, but it still has the quality," says golf tourism specialist Peter McCarthy from Go Golfing. "It's still a little under-the-radar compared to the Gold Coast and that is appealing to many people. There are excellent golf courses, and a variety. You have the quality of resort courses like Noosa Springs and Twin Waters but there are also a number of really good club courses like Headland that welcoming visiting golfers. After a round or two, there's a host of attractions on offer on the Sunshine Coast, including a visit to the late Steve Irwin's Australia Zoo, a long lunch and a browse in the boutiques on Noosa's Hastings Street or a trip to the artisan Eumundi Markets." The hinterland township of Maleny, the birthplace of the Woodford Folk Festival, is also worth a visit for its natural beauty, cafes and restaurants, bookstores and lively creative culture. After savouring the local fare, the nine-hole Maleny Golf Club is well worth a shot thanks to its breathtakingly beautiful landscape. The Sunshine Coast is also renowned for its rich food culture – there's a host of foodie adventures to enjoy in between rounds of golf, including chef-guided food trails, paddock-to-plate degustation's or a visit to a country market. But don't end your Sunshine Coast stay without playing at the following courses. A lively and exclusive coastal enclave, Noosa has long been on the international map as an attractive holiday destination. In addition to its surf beaches, national parks, cafes, shops and restaurants, Noosa is home to the acclaimed Noosa Springs Golf Club & Spa Resort, just a few kilometres from the bustle of Hastings Street. Surrounded by tranquil Lake Weyba, Noosa National Park and the 10 spring-fed lakes of Noosa Springs, this course is consistently rated as one of the best in Australia – for good reason. The premium 18-hole championship course was designed by Graham Papworth, who has managed to preserve and enhance the natural environment. 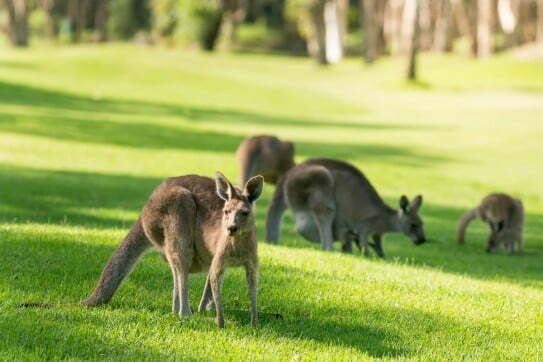 It's not uncommon for golfers to share the rolling fairways with kangaroos, koalas and an abundance of birdlife, making for a memorable golfing experience. According to Papworth, the course's strategic layout offers a full gamut of hole lengths and shot values. No two holes are remotely the same, which makes the course attractive, fun and challenging for players of all levels. Finish the day off with a meal in the award-winning Relish restaurant, or unwind in the spa with one of their signature treatments before retreating to the luxury boutique-style accommodation. "Noosa Springs is always in magnificent condition," says Michael Car from Premier Golf Adventures. "It's visually spectacular and even though it's challenging, the course is still enjoyable for less skilled golfers." A charming, traditional club course, Headland Golf Club was the first Queensland club of 2013 Masters champion Adam Scott and it continues to be popular with locals and visitors alike. Located at Buderim, Headland is a 62-year-old par-72 course with one of the most respected layouts on the Sunshine Coast. The course is a habitat for koalas, kangaroos and native birds, so expect to be distracted by the Australian native wildlife. After your day on the green, enjoy a cold beer and some decent fare at the traditional clubhouse while taking in spectacular views of Mooloolaba's coastline, just five minutes' drive away. A Sunshine Coast golfing holiday wouldn't be complete without a round at Twin Waters, an internationally recognised resort course. 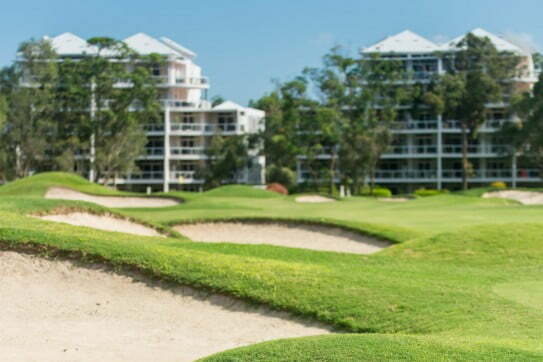 Designed by five-time British Open champion Peter Thomson and his partner Mike Wolveridge, this challenging Sunshine Coast icon is an 18-hole par-72 championship course – one of the top six in Australia. 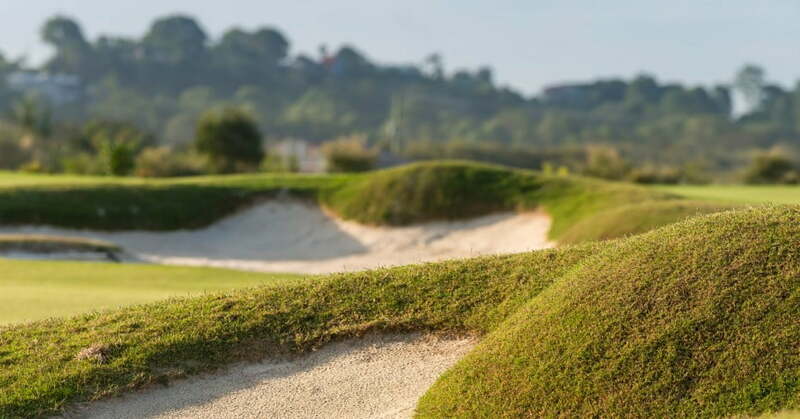 Taking full advantage of the rugged, naturally beautiful surroundings, the relatively flat course has rolling fairways, grassy mounds and an abundance of natural wildlife. Thomson believes golfing professionals and amateurs will enjoy the challenges the course presents, with most players using only one ball throughout their round. The facilities at the Novotel Twin Waters Resort, just 500m from the golf club, are impressive. The four-star property offers resort rooms, one and two-bedroom suites, a variety of dining options, a pool, a spa, watersports and a private lagoon. It's separate from the golf club, but a shuttle bus runs regularly between the two in case you're weary after a day of golfing. Just 40 minutes by car from Sunshine Coast Airport, you'll find Queensland's first Greg Norman-designed golf course, set in the stunning surrounds of Golden Beach. Designed to sit comfortably among the world's premier courses – and ranked the number-one golf course on the Sunshine Coast in 2012 – this challenging 18-hole, 6,289m championship course features a driving range and practice greens for putting and chipping. With the native bush landscape and Glasshouse Mountains providing a striking backdrop, Pelican Waters, which opened in 2000, is recognised as one of the state's top modern courses. It also has a first-class clubhouse and a large al fresco terrace, which overlooks the course and provides the perfect place to relax and unwind after a round or two. The four-star resort offers contemporary accommodation, a day spa and quality dining at Cienna Restaurant & Bar. The newest addition to the Sunshine Coast golfing scene, Maroochy River has been described as a links-style layout with a resort feel. Situated between Bli Bli and Pacific Paradise at the northern end of the Sunshine Coast, Maroochy, formerly Horton Park Golf Club, opened in 2015 and has fast become a social golfing haven. "The course was designed to be forgiving for the occasional players, yet throw a lot of temptation out to the accomplished players," says designer Graham Marsh. "Golfers will have a lot of fun and challenges as they strategize their individual approaches to each hole. The course, just five kilometres from Sunshine Coast Airport, also has glorious views from Buderim to Mount Coolum." On Air New Zealand operated flights, you can take a golf bag containing golf clubs and one pair of shoes as checked-in baggage. It counts a bag, so depending on your baggage allowance you may need to purchase a prepaid extra bag before heading to the airport. Size and weight restrictions also apply, to learn more see overweight and over-sized items.